Evangelism is a lot of fun on the "Front Porch". It is large enough to seat about 100 people! 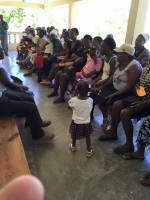 Each day, folks come for Clinic Services, Mom-Tot Nutrition, and urgent care. 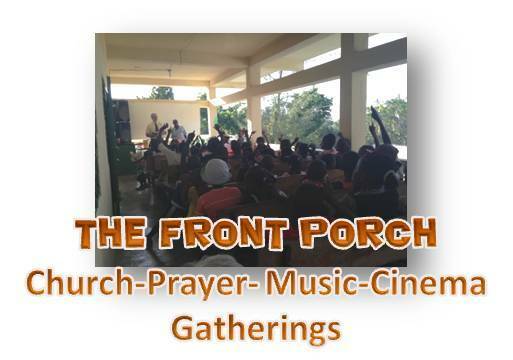 The evenings feature music, games, contests, singing, and prayers. Many guest speakers from the States have ministered to many folks during their stay. The movie nights are a blessing! The Jesus Film (for children) is often played. The film features the dialog in Haitian Creole!